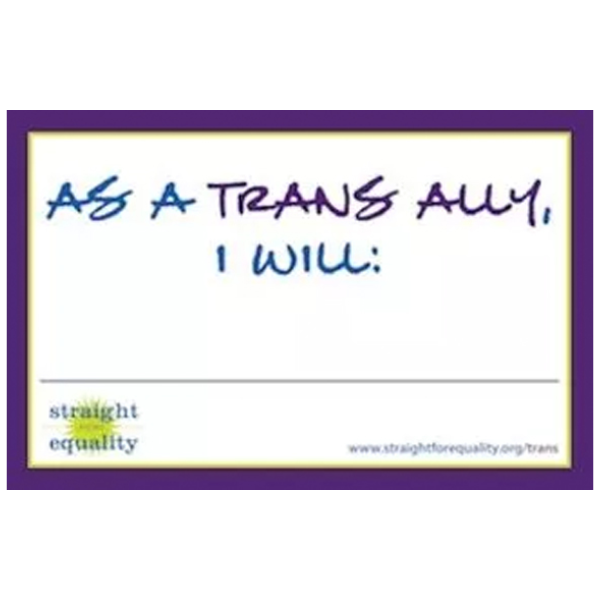 Use these postcards as part of an event to show people how to be better trans allies. The card can also be used as a part of a social media campaign and is a great way to get a conversation started. © 2019 PFLAG Publications Store, all rights reserved worldwide.